Jack Dixon, 5, plays on a tank at Patton Park in Hamilton on Thursday afternoon. Photo by Mary Catherine Adams/Salem News. 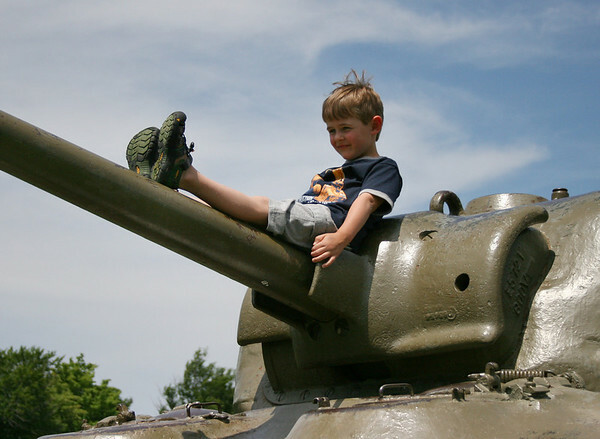 , Jack Dixon, 5, plays on a tank at Patton Park in Hamilton on Thursday afternoon. Photo by Mary Catherine Adams/Salem News.